Whether you’re a regular spinner or absolutely new to the bike, the Spinning Classes Bedford are not to be missed! Spinning has become a favourite group exercise class for many of our members, due to the thrilling atmosphere and incredible benefits. Reap the cardiovascular benefits of being on the bike while pedalling to great music under the expert influence of our elite instructors. Indoor cycling is suitable for all fitness levels as you are in complete control of the resistance and intensity – it’s your workout! Plus, there is nothing more motivating than being surrounded by other members all pedalling to the same music! What are the benefits of booking a spin class at Simply Gym Bedford? Spinning is a great full-body workout, improving your cardiovascular fitness as well as your muscular endurance and core. You will definitely see improvements to your general fitness levels in your day-to-day life after taking part in regular indoor cycling classes. In a typical spin class, you can expect to burn 400-600 calories, as well as developing the muscles in your glutes, thighs and core. Spinning is also a great low-impact option if you want to avoid putting pressure on your knees and joints. Or if you are recovering from an injury and want to come and pedal at your own pace in an exciting atmosphere! We would be delighted to see you in one of our classes, so book a spin class today to raise that heart rate, sculpt those legs and leave the gym feeling energised and de-stressed! With our extensive group exercise timetable at Simply Gym Bedford, there is a spin class on offer every day of the week, so the choice is yours! Every group cycling class will have a qualified and supportive instructor to take you through the class and motivate you through every track. If you have any concerns before the spin class, the instructor will be available to talk to you and offer guidance before you start Simply spinning. With our extensive group exercise timetable at Simply Gym Bedford, there is a spin class on offer every day of the week, so the choice is yours! Every group cycling class has a qualified and supportive instructor to take you through the class and motivate you. If you have any concerns before the class, an instructor will be available to offer guidance before you start spinning. 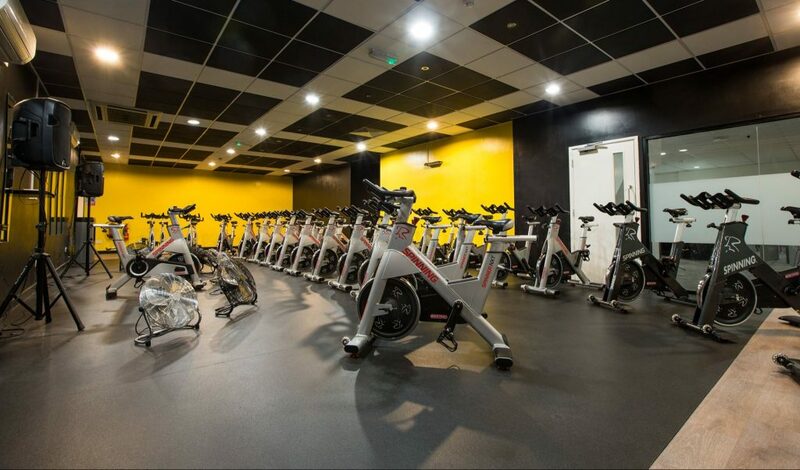 The group cycling classes at Simply Gym Bedford take place in a well-equipped spin studio, separate from the main gym. Immerse yourself in a group cycling experience with a variety of music, state-of-the-art lighting and fully functioning spin bikes. All you need to do is book your preferred class, arrive a few minutes beforehand to set up your bike and you’re ready! Please bring along water and a sweat towel.